Whether it’s art, architecture, beautiful landscapes or food and wine, Italy never ceases to amaze me. Whenever possible, I try to visit lesser know regions like the superb and wild Basilicata in Southern Italy, or unusual towns like the lovely Porretta Terme in Emilia-Romagna. Italy is a country of incredible diversity, and there are many regions which I barely know yet. Even from the distance, though, a good way to discover a region is through local food and wines. 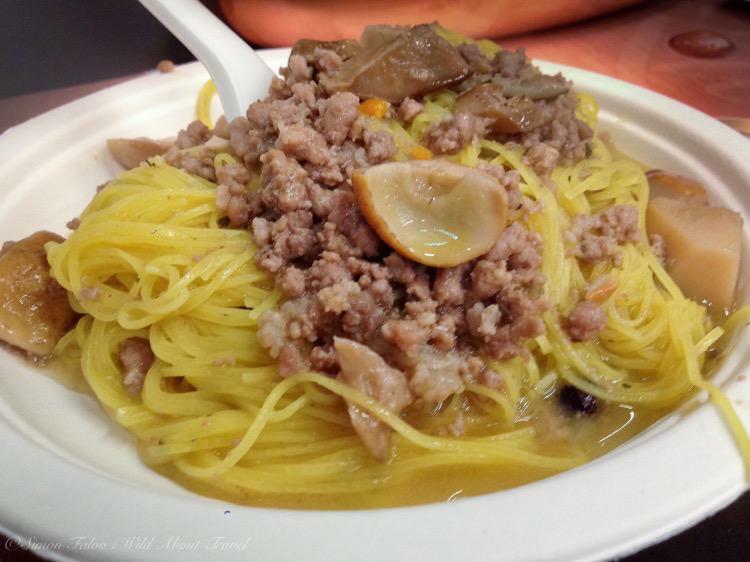 A recent show cooking and wine tasting at Milan EXPO introduced me to the Piceno area, in the south of the Marche region, and their local products of excellence. Wine making is rooted in history, and recent archaeological finds highlighted that the cultivation of wine grapes in the Piceno area dates back to the first millennium B.C. Since then, the technique of wine making has become more refined, but the tradition is still alive and proudly preserved by a group of local wine producers who created the “Consorzio Vini Piceni” to protect the local origin and characteristics of their wines. 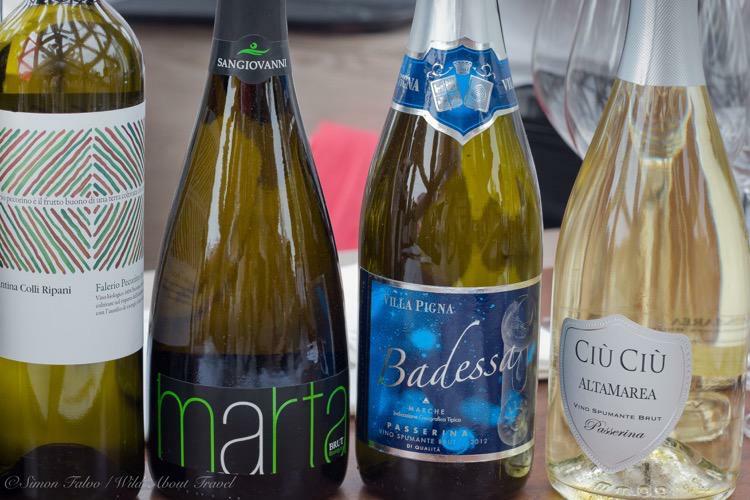 The diversity of this area, ranging from sea to hills and, more inland, to the Apennines, reflects in its wines flavours as well as in its culinary traditions. The most interesting, in my opinion, are the Offida wines D.O.C.G. (designation of origin controlled and guaranteed): the whites Offida Passerina, Offida Pecorino and the red Offida Rosso. A rare local grape, Passerina is found in both a still and a sparkling version. Perfect for apéritifs and pairing very well with fish and seafood. Pecorino, another autochtone grape, owes its name to its origins: areas close to the mountains where sheep (pecore, in Italian) used to pasture. 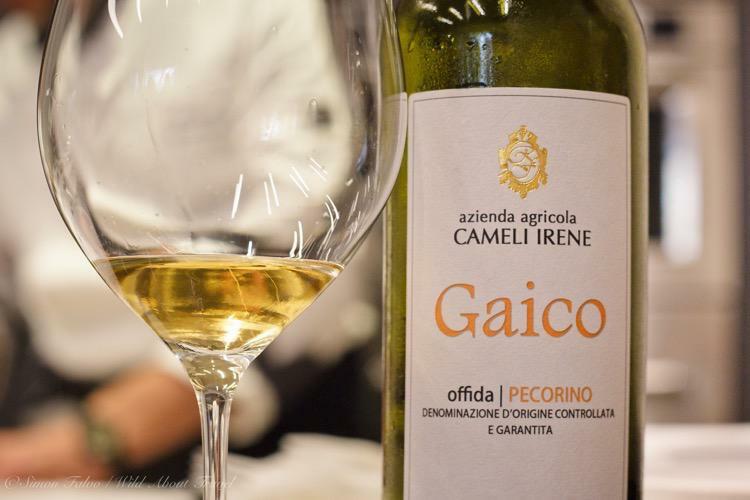 Recently, Pecorino has become the most renowned white between Vini Piceni, appreciated for its fruity bouquet and its straw yellow color. Offida Rosso is made of the Montepulciano grapevine, not to be confused with the Vino Nobile di Montepulciano from Tuscany, whose name derives from the town where it is produced, while the main grape is Sangiovese. With a beautiful ruby-red colour, Offida Rosso perfectly pairs with cold cuts, seasoned ham, hard cheeses, and all kind of meat. 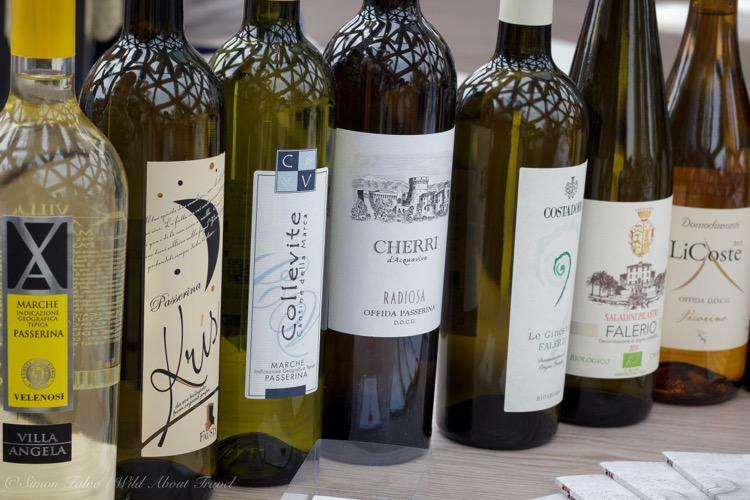 Other wines of the Piceno area include the whites Falerio, Falerio Pecorino, Terre di Offida, and the reds Rosso Piceno and Rosso Piceno Superiore. Produced only in a very limited area, Rosso Piceno Superiore has an intese bouquet and stronger consistency and was my favourite. There’s no better way to taste a good wine than pairing it with great food. 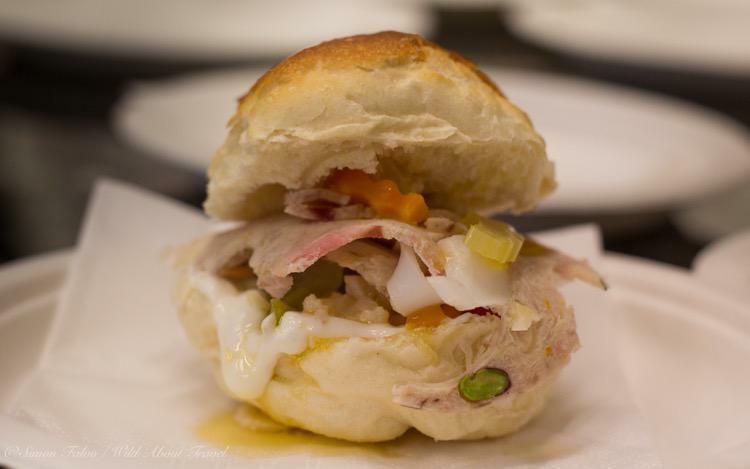 To promote the awareness of the Piceno area, Consorzio Vini Piceni invited some of the best local chefs who introduced us to several culinary delights in a series of show cooking sessions at Milan EXPO. 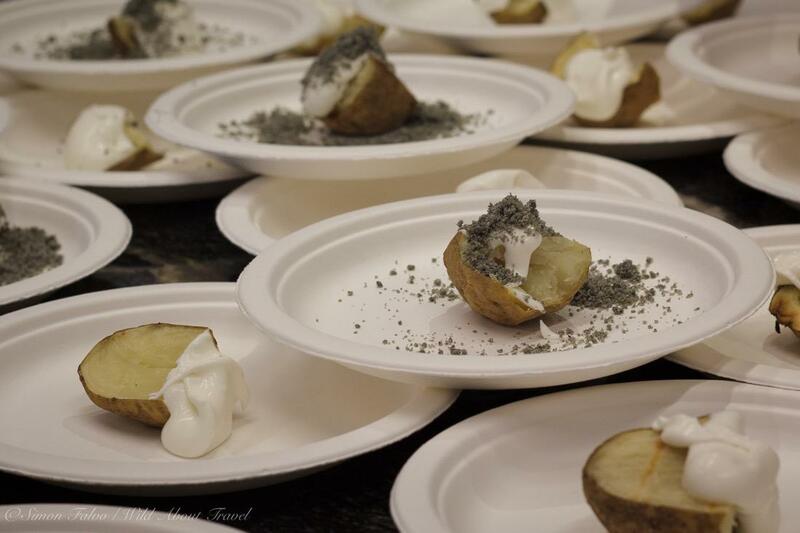 Different chefs, various dishes and a common trait: the passion for their area, the willingness to use local products and preserve long-standing traditions, proposing them with a touch of creativity and a modern twist. Sabrina Tuzi, Chef of Restaurant Degusteria del Gigante in San Benedetto del Tronto and Vittorio Cameli, Chef of Bistrot Kursaal in Grottammare, proposed delicious dishes enhancing anchovies, long considered a “poor fish” and therefore disregarded although very tasty. 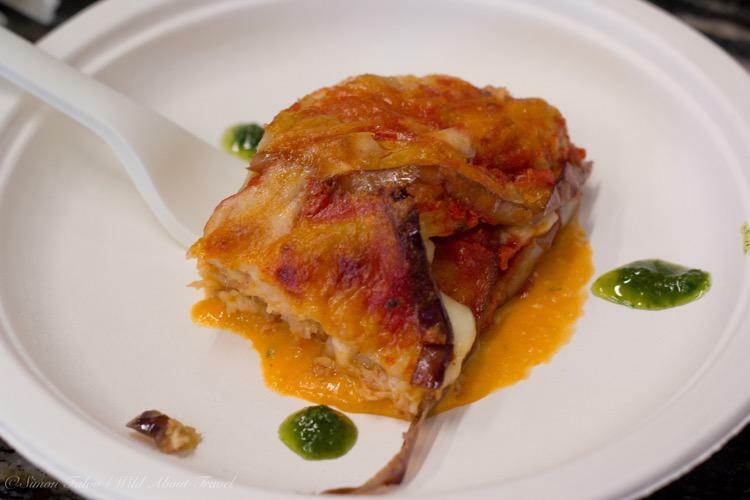 Cameli’s Parmigiana of anchovies was phenomenal and Tuzi’s classy review of “fast food” with her Sandwich with anchovies’ coppa delicious and interesting. 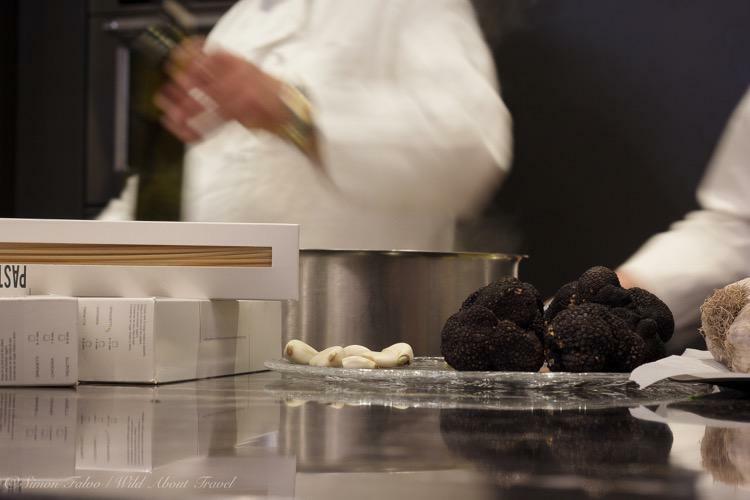 From the sea to the hills, Chef Francesco Conti of Restaurant Oscar e Amorina in Piane di Falerone took inspiration from long-standing traditional recipes, like the hand-made Fini fini (egg-based pasta cut very thin), prepared with a sauce of boletus and spring truffle, both from the local area. 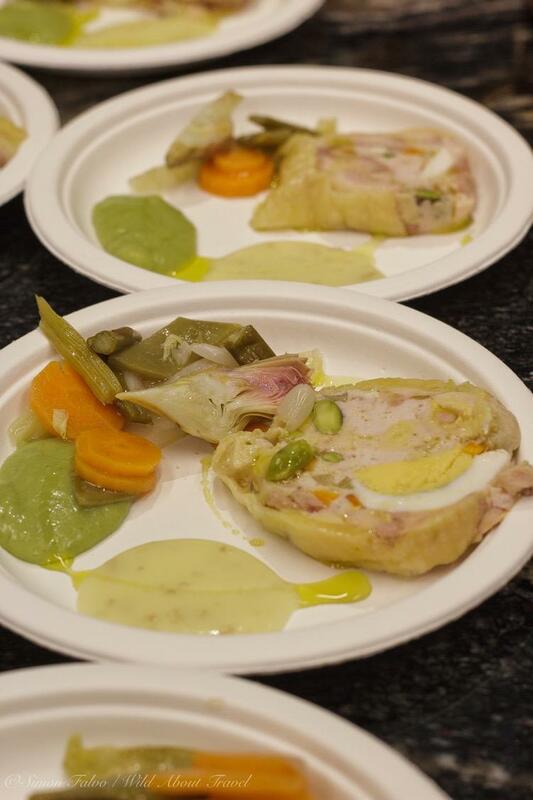 Daniele Maurizi Citeroni, Chef of Osteria Ophis in Offida, proposed a Galantine with home-made fresh mixed pickled vegetables and two vegetable mayonnaise, reinventing a traditional sophisticated recipe. Aurelio Damiani, Chef of Trattoria Mare Damiani e Rossi in Porto San Giorgio, proved how the flavours of the sea and from the mountains can blend harmoniously. 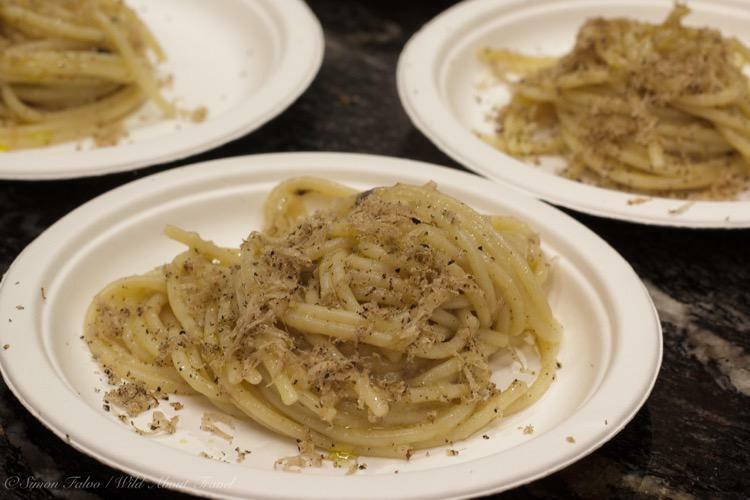 His Spaghetti Mancini with anchovies and summer truffle from the Sibillini mountains was unforgettable in its simplicity. Enrico Mazzaroni is the Chef of Ristorante Il Tiglio in Montemonaco, a small town within the Monti Sibillini National Park. 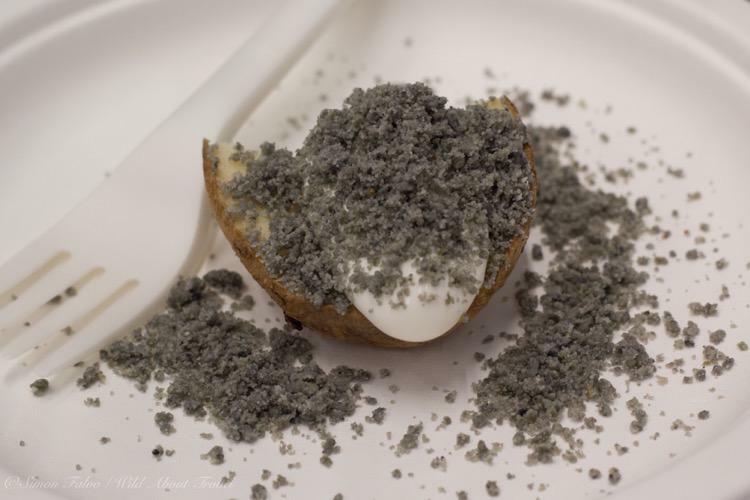 Combining a true love for its hometown, local products and traditional recipes with creativity and endless research, Mazzaroni reinvented old simple dishes like the Potato of the Sibillini mountains covered with ashes in a contemporary fashion, rewarding both palate and the eyes. This journey through the flavours of the Piceno land ended with a wish: exploring more of this area of the Marche region, rambling in the countryside and the mountains, looking at the fishermen on the seashore, discovering a piece of authentic Italy where traditions are fused with creativity. Note: I was kindly invited to the show-cooking and wine tasting of the Piceno area by Consorzio Vini Piceni. As always, opinions are my own.